Description: Microsoft SQL 2005 Express Edition is the replacement for MSDE 1.0/2.0 and receives a new, albeit much longer, name as Microsoft felt MSDE was confusing and misunderstood. 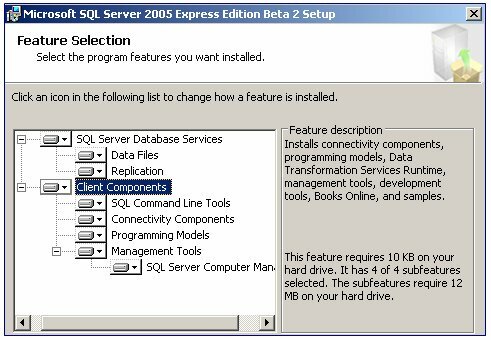 In a nutshell – SQL2005 Express Edition will be “desktop” version of Microsoft SQL 2005 (“Yukon”) when it appears. 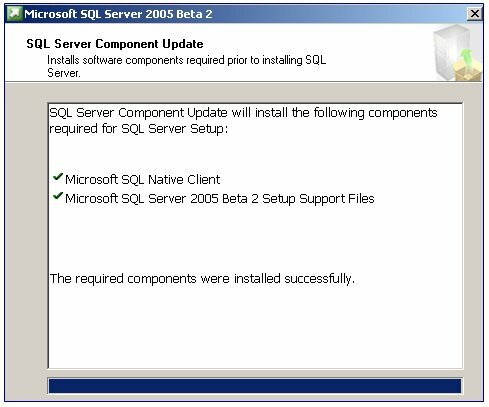 This document investigates the installation of SQL2005 EE (see, shortened already!) and whether it is possible to make SalesLogix 6.2 work with it. The download for SQL2005 EE is 36Mb and whilst the documentation states that MDAC is not required and will make the installation simpler they have forced the installation of the .NET Framework. This adds a further 24Mb to the payload. Once the framework is installed you can continue with the installation. Select the components you need – for some reason, with Advanced Options switched ON these are all set to “Not Installed”. You have to select the two upper nodes and select “Install All”. 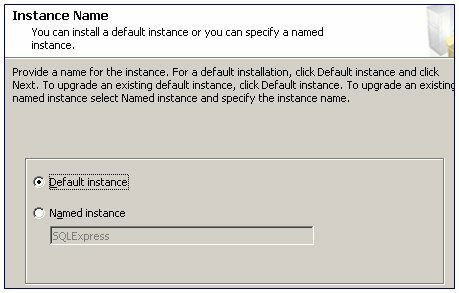 Decide on a default or named-instance name. 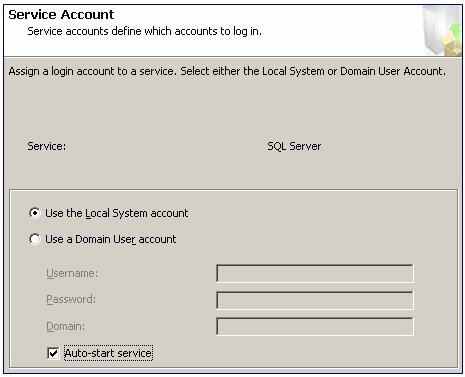 Decide whether to use the system account or a domain account. For this installation we are not concerned about backup processes so a system account is fine. Fortunately, the mixed mode is still available – a requirement for SalesLogix. You also need to use a strong “sa” password. However, if you use the silent installation mode you can set this to blank if required. As before, select the defaults for the collation settings. As the installation goes into a “90” subdirectory it is possible to run multiple instances and, allegedly, existing version of SQL Server. The final step is to allow the installation to proceed. This takes in the region of 10-15 minutes but is very (too much?) informative as it proceeds. You will most likely need a reboot at the end as well. Reveals that there is a new command processor – sqlcmd90.exe as well as the old version “osql” updated. 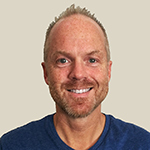 In this release Microsoft have given us a new control mechanism – the “SQL Computer Manager” – this is obtained off of the program group or via Start | Run | SQLServerManager.msc – a standard plugin to the Microsoft Management Console. The driver is now called SQL Native Client. Interestingly, when installing SalesLogix the prompt for the SA password did not occur (must be something in the script that looks for MSSQL 8.0). Consequently, the ability to install the databases fails with a permission issue. 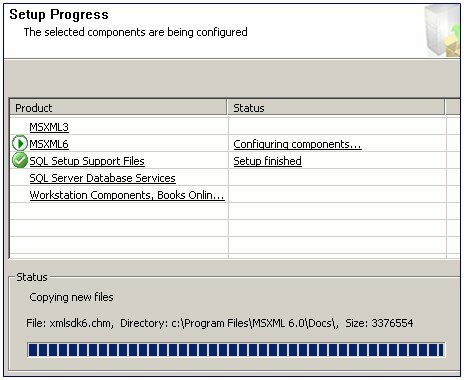 When running a manual installation (using the install menu option) the AttachDBs module failed with an application fault – as did the standard AttachRemote utility. So, now comes the hard part, with no way to attach the database automatically what can you do? Results:		This means the DB is attached and working ! So, looks like there is some work on Best’s part to make this as slick as we’ve been used to. 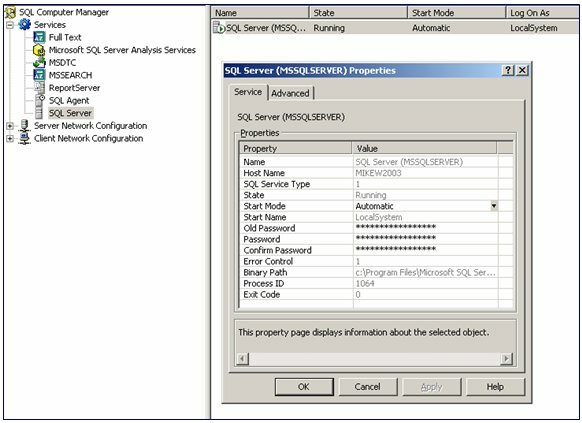 Unfortunately, the Connection Manager is hard-coded to display only the “Microsoft OLE DB Provider for SQL Server” – this means that any advantages of using the new native provider will be lost. Of course, it also means that the system continues to work as expected. This appeared immediately and not sure why it’s trying to detach the Remote DB before it’s even created it? So, some work required here. Of course, you should not be attempting to run the system on a MSDE/SQL Express database anyway – but was worth a shot! In use, the system appeared to work with no apparent issues in the SalesLogix client. I am confident that the speed issues (appeared to be quite sluggish in operation) were either down to the Beta nature of the SQL Server or VMWare. Obviously, there are some changes required from Best/Sage in order to make the installation as transparent as we are currently used to. They will also need to fix the hard-coded nature of the provider as well. I hacked the connection string in, and it works thus far. 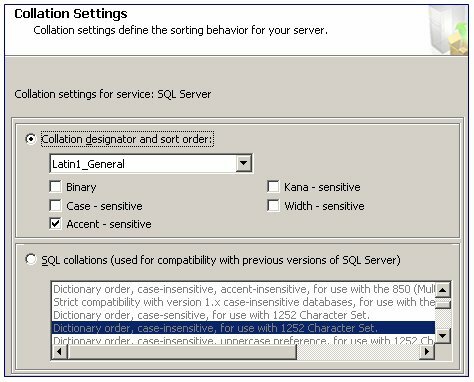 When we qualify for SQL 2005, I will make sure we can select that provider for use..
Have any of you guys tríed to get this working on the sql server 2005 beta2? i cant get it to add sysdba as owner of the db... any solutions? Could someone help me out or give any suggestions??? I have a Problem creating remote databases. I have installed Saleslogix Server on A Virtual Machine. I am working with Saleslogix 6.2.6. I Installed SLX Administrator on the SalesLogix Server (Virtual Machine) too. 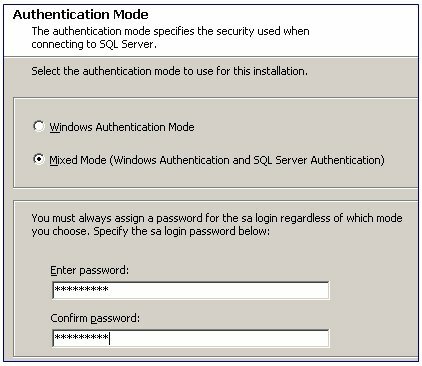 But When I try to create remote user database, connecting directly SLX Administrator installed on a PC with Windows Xp, the database is created without any problem. My problem is when I trying to create remote databases on Slx Server (Virtual Machine). Anybody knows How to fix this Problem or Why this Problem Occurs? ?